The music industry in Nigerian just keep getting better and the boost is launching even deeper with more people with even more capacity for delivery emerging especially on the Gospel scene. We reflect our phenomenals such as Sinach, Frank Edwards, E-Ben, Tim Godfrey, and many more. 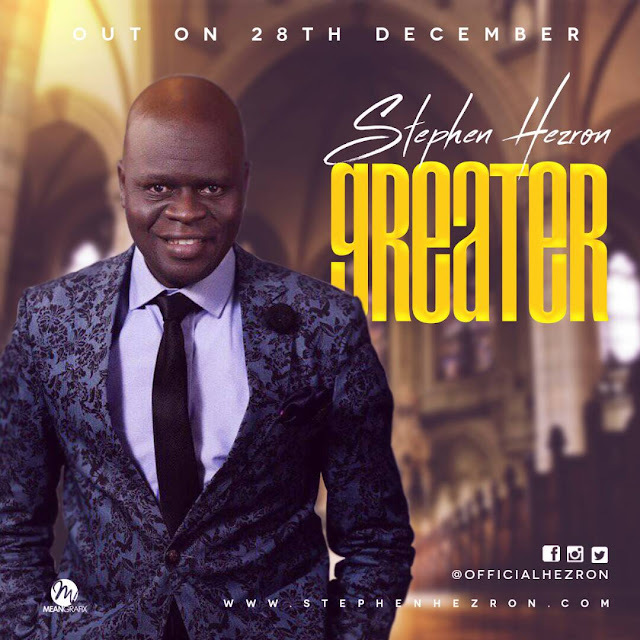 Our first “talk news” session is with the music maestro and kinesthetic gospel singer, Stephen Hezron who is just about releasing his first single “Greater” which is a departure from his choir ministrations. Having begun music as a teenager, been through tutulege from greats such as Panam Percy Paul, he is unleashing his exuberant style of worship on the world to bring healing. Right here in a chat with our correspondent Jenny Chisom, he shares bits of his life that are purely inspiring. Read along as we anticipate the release of GREATER in less than 48 hours - Dec. 28, 2017 via www.stephenhezron.com. TNN: Can you tell us about you and growing up! Hezron: My name is Stephen Hezron. I am simply called Hezron. I can’t explain why people chose the surname rather than the first but I have become used to it. That is also why I am @officialhezron all over social media. I am the third of Seven Children and I grew up in the midst of a large family, with cousins and nephews and other extended family members living with us. That informed my sense of community and love for people outside my immediate family. My parents both retired as teachers, so we experienced what teachers’ children experienced back in the days. I have loved singing since I was younger and have been attracted to any place where singing happen. Singing became more common activity in my life while I was in Secondary school, and I decided to learn to play the bass guitar in addition to singing. I grew up under strict tutelage and have been monitored by parents when I am at home, and guardians when I am in school. TNN: What was your first knowledge of music like? Hezron: Like I mentioned, I started active music with playing the bass guitar in my secondary school. 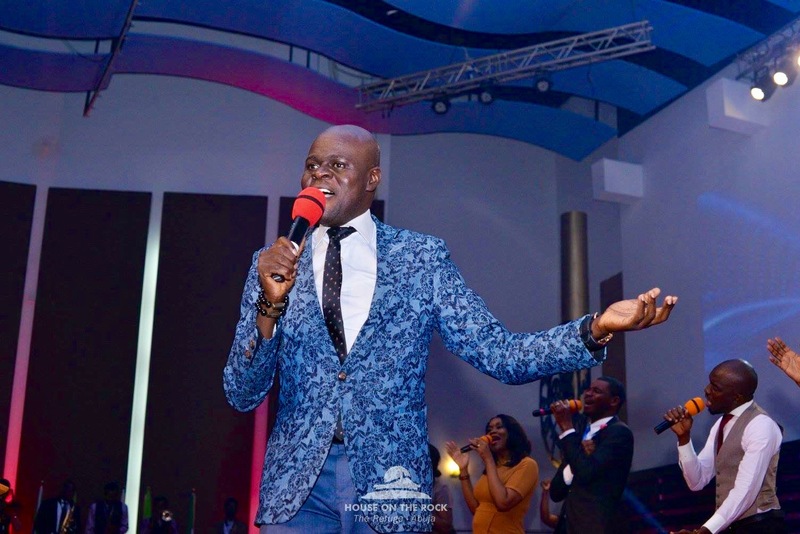 After secondary school, I proceeded to Adamawa State Polytechnic and on the encouragement of my Music Director, Rev Simon Manabete, I started singing and taking solos in my church choir. This formed the foundation of my love for music. At a point I even wanted to study Music in the University, but of course the Engineer in me refused to let go, so here I am. TNN: What inspired you to take music seriously? Hezron: Music is a great weapon for the soul and the spirit. The importance of music to any human being cannot be over emphasized. First, I experience so much lifting in my spirit whenever good music is being played. I listen to some singers, and the way they sing or write their lyrics move me to tears. Music takes me on a journey each time I listen to it and it also gives me the opportunity to glean from the experience of the singer or writer. So it is what I experience that I give to whoever listens to me. 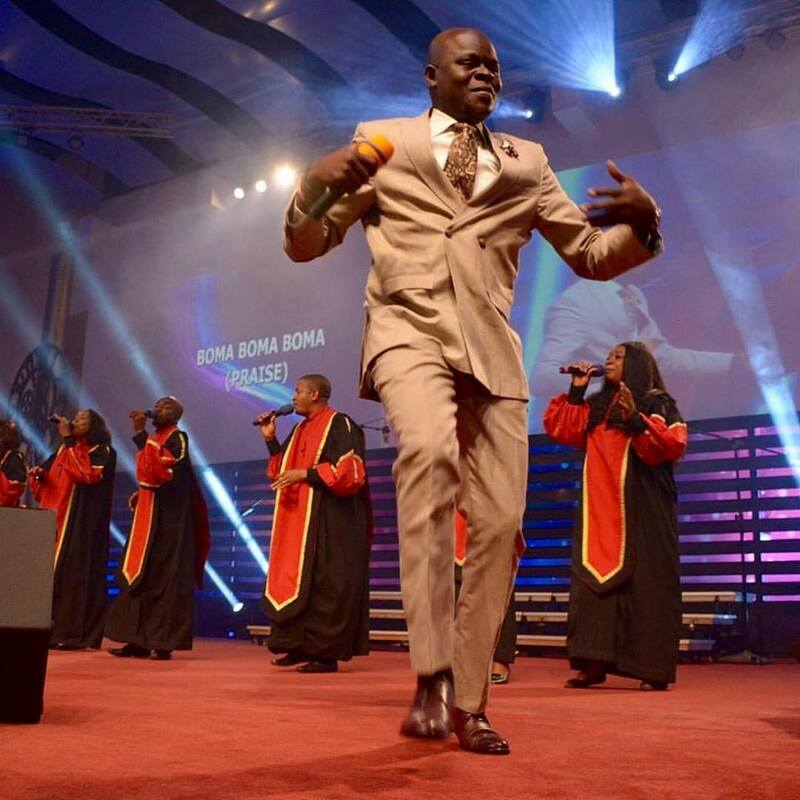 TNN: Tell us a bit about why you chose Gospel music? Hezron: First, Gospel music is timeless. It is unlike other songs that are celebrated today and tomorrow when a new tune comes along, are forgotten. Every Bible based song is timeless, because the spirit in the song is reborn every time it is sung or played. Secondly, I can only give what I have. What I have is the gospel and nothing more. So that’s what I give. TNN: What have you learnt from leading choirs? Any advice for choir leaders/lead singers? Hezron: From leading choirs, I have learnt patience and humility. Patience, because not all choir members are on the same level. Many are good, others are not. 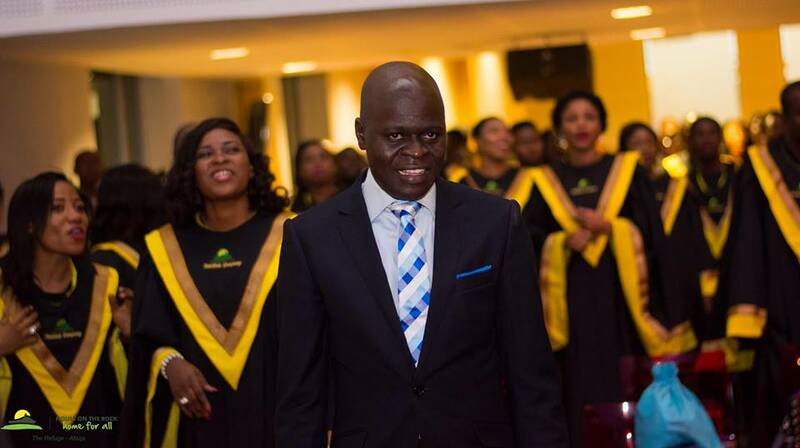 In fact some are not in the choir to sing, but they play very key roles in the functionality of the choir. So the choir leader has to patiently know how to categorize these. Humility, because that’s the path to greatness. As a music director, you must know that you don’t know everything and that you need your team for desired impact. You must listen to them and differ to them when their point of view is superior to yours. You must not be seen as the custodian of the music of the church who knows everything and lacks nothing, but a team player in the bigger picture, with everyone assisting to make the musical experience impactful. TNN: What inspired this your first single Greater!? Hezron: I am a product of God’s greatness. He has shown me severally that He is greater than everything I can imagine and He can do beyond my wildest imagination. Everywhere I turn, His greatness is written boldly for all to see. The song ‘Greater’ is not an original composition, but adopted and tweaked with a contemporary feel. I use the song to remind myself that I serve a God that is more than able. TNN: Do you intend to write songs and make an album soon? Hezron: Interestingly, the album is already done. I am just releasing this “Greater” as the first of the songs to be heard. There will be 2 or more singles before the complete album finally drops. It may interest you also to know that the song was not done yesterday and released today; we kept waiting for God’s timing, and finally it is here. 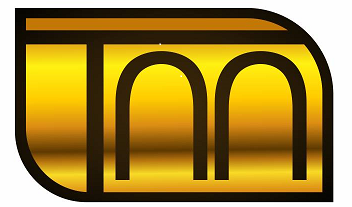 TNN: Are there future plans for more music? Hezron: Yes!! There is more to come from this vessel. TNN: Tell us about your family life! Hezron: Well, I am the third from a family of 7. My parents are retired teachers and they did their best in bringing us up. I am married to Esther and together we are blessed with 2 wonderful children, Jamiel and Janelle, ages 4 and 2. TNN: What is your major passion for life? Hezron: My passion for life is seeing people happy, and music is that vehicle that makes it happen for me. TNN: How do you relax? Hezron: My wife says I hardly relax (laughs) but one way of relaxation for me is with my family. Another way is when I listen to Gospel music. Hezron: I have been in the gospel music industry for some time. I am stepping out of my normal church ministrations to a greater community with a high expectation. I want people to enjoy what they hear and to be blessed by it. This is the first of many steps to come. TNN: Thank you for chatting with us and sharing a bit of your life.